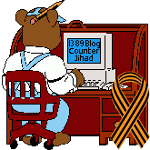 Rodney Atkinson: The Fascist Foundation of the European Union — 1389 Blog - Counterjihad! Please take the time to view this video – Nazis, Ustashe, Croatia, The Bilderbergers, etc. RODNEY ATKINSON is a former adviser to Ministers and an internationally praised author of 6 books on political economy and the crisis caused by the European superstate. He has broadcast on radio and television in the UK, Germany, Poland, Yugoslavia, Austria and the USA, and his books have been sold in more than 50 countries.